Century-old Oxford Street department store Selfridges, second only to Harrods in size, and bought by Sears in 1965, has made history again. In 1911 it was the biggest bookshop in the world. In 2013 ITV dramatised its early story in the TV series “Mr Selfridge”, currently on its third series. 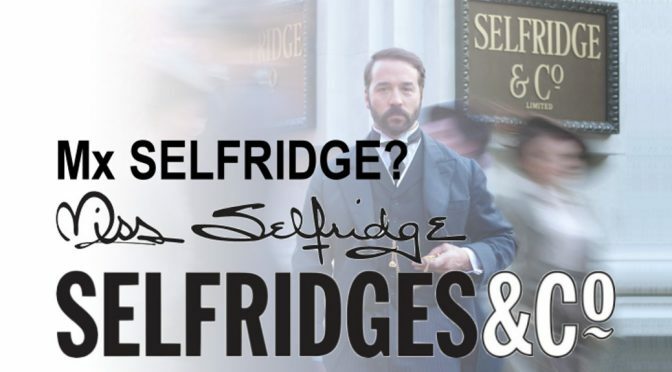 Only now, 106 years after it was founded, Mr Selfridge is becoming Mx Selfridge. Gender neutral, agender and non-binary is the way at least 3 floors of the store are going in 2015 to include 5 unisex brands and other individual agendered clothing items drawn from dozens of other makers. One wonders whether they will additionally introduce unisex toilets? This will affect not only clothing but beauty products as well. Clothing ranges are also said to be going mannequin free. Selfridges contains the world’s largest shoe department, will it now be sporting size 10 stilettos and size 3 Oxfords and Brogues? Selfridges was a supporter of universal women’s suffrage and ran adverts in the movement’s magazine “Votes for Women”. The early feminist radicals repaid that patronage by both shopping at Selfridges and sometimes organising from there. In the 1930s Selfridges was ahead of the times, again, with an all-female Gun Club on its roof, something copied by others later in the decade. In 1966 Selfridges launched Miss Selfridge as a youthful spin-off brand, which was subsequently acquired from Sears by Philip Green and the Arcadia Group in 1999. Initially, their mannequins were modeled on 1960s fashion icon Twiggy. As a result of its independent ownership and brand Miss Selfridge remains gendered. The phrase “the customer is always right” originated with Selfridges, and gender neutral shopping, where clothes can be clothes, has been requested by many a feminist and/or LGBTI shopper. 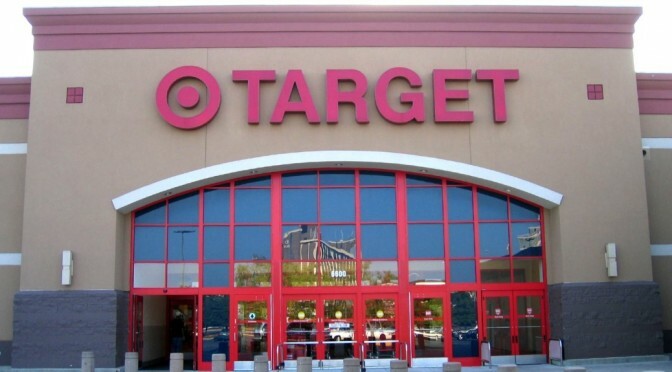 I well remember buying a pair of Levi’s in the 1980s from the “wrong” gender display because the ones that fitted were 29″ waisted in a fit for the ‘the other’ gender label – as was politely pointed out to me at the till. Not only that, but they were also £5 cheaper for exactly the same style. To buy the pair meant for my then gender meant paying more and suffering from a baggy waist as they didn’t even begin until a size larger than I actually was. Gender neutral shopping and clothing will aid many LGBTI, non-binary, and genderqueer, youth explore and express themselves with less fear and embarrassment. Harry Gordon Selfridge’s mottos were “Everyone is welcome” and “Develop imagination, throw away routine”. 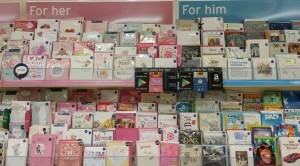 Routine gender is thus being thrown away. 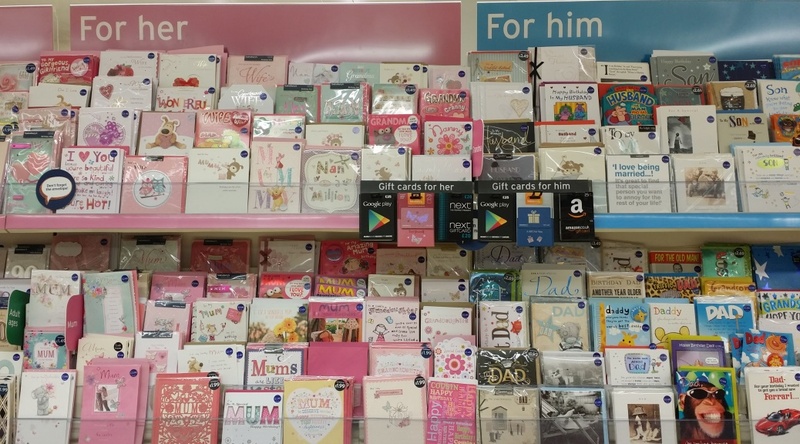 Whether this is a cultural or commercial experiment, or both, one hopes it will inspire other stores to become less gendered. That doesn’t mean no more gender, but rather more genders and none, since those happy with his and her are not being replaced but supplemented by hes and hir, xe and ze etc. This is a welcome addition, not a total replacement. I don’t want to see gender disappear like some Star Trek jumpsuit identity, but I do want people to see that identities outside or across the so-called binary do exist, and options for those people, an increasingly visual and vocal section of society, be made.